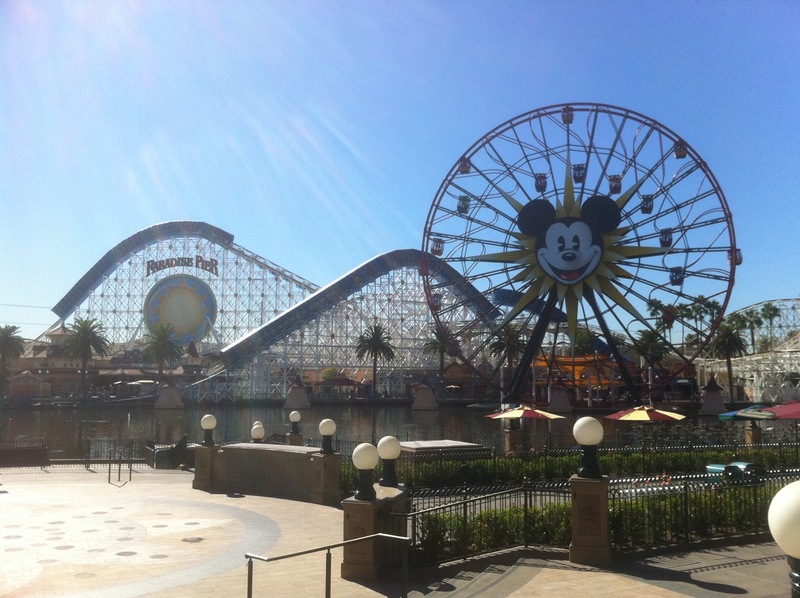 I recently had a chance to visit the Disneyland Resort. This site is aimed at first-time family visitors to Walt Disney World who may never return. So what’s the argument for such families going to Disneyland instead of to Walt Disney World? It’s been a while since I’ve been to Disneyland. I’m not gonna say exactly how long, but the last time I was there, E-tickets weren’t just a metaphor…they were also an actual physical object that you needed to have to board hot new rides like the Haunted Mansion and Pirates of the Caribbean. Excuse me while I take a slug of Geritol…I’ll be right back. Disneyland remains the beating heart of every Disney park worldwide, and is more than a match for the Magic Kingdom at Walt Disney World. Disneyland has every major ride that the Magic Kingdom has except for Mickey’s Philharmagic. It adds attractions that are at other Disney World parks (Star Tours, Captain EO, Fantasmic) and has a couple of major unique attractions–the Matterhorn and the Indiana Jones Adventure. Of the attractions that Disneyland shares with the Magic Kingdom, on average the Disneyland versions are better–powerfully so at Space Mountain, Peter Pan, and Pirates of the Caribbean. Disney California Adventure has taken a lot of hits over the years. However, Disney is in the midst of a massive capital spend at this park. This has already shown results this year in the World of Color, will yield more new E-ticket rides in 2011, and even more in 2012. Already available at Disney California Adventure are Soarin, Toy Story Mania, The Tower of Terror, It’s Tough to Be a Bug, Muppet Vision 3-D, Turtle Talk with Crush, and a dozen more rides and attractions it does not share with any park at Walt Disney World. The layout of the Disneyland Resort makes it stunningly easy to navigate. The park entrances are only a few hundred yards apart, and Downtown Disney is along the walkway between these parks and the three hotels. If you stay in Disney’s Grand Californian–which I highly recommend–getting around becomes particularly simple. It’s only a few hundred yards from Disneyland, and has its own entrance from the hotel directly into Disney California Adventure. 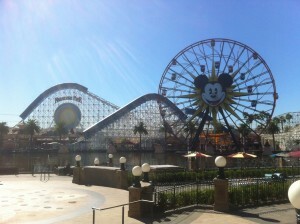 SO YOU SHOULD GO TO THE DISNEYLAND RESORT INSTEAD OF WALT DISNEY WORLD? Well, no, not really, with a couple of exceptions. 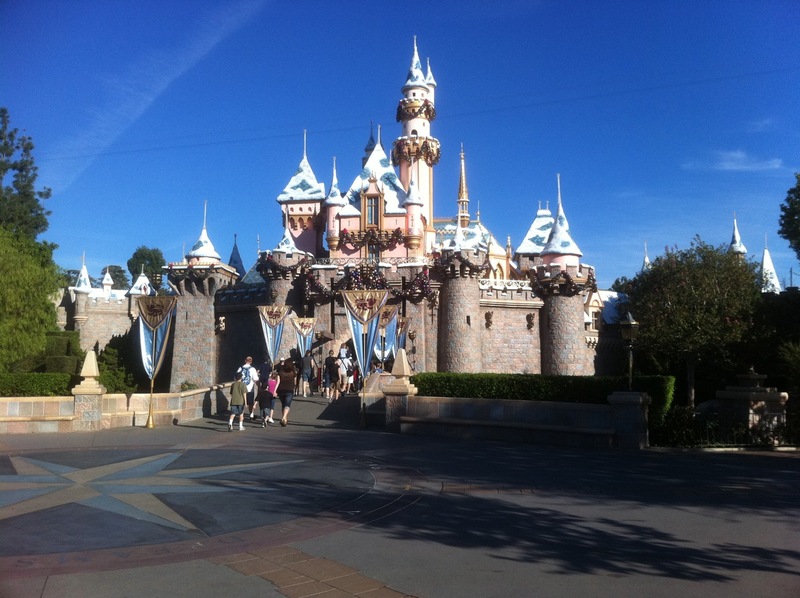 The Disneyland Resort is a great option, and has a lot more of the best of Walt Disney World than you might expect. But it’s still missing a lot. In terms of rides, you’d lose among many others the American Adventure, Mission: Space, Test Track, Spaceship Earth, Illuminations, Dinosaur, Expedition Everest, the Kilimanjaro Safaris, the Festival of the Lion King, and Mickey’s Philharmagic. Another way to think of it is you’d miss most of the best of Epcot and the Animal Kingdom. Moreover, there’s no physical setting remotely equivalent to those of these two parks. 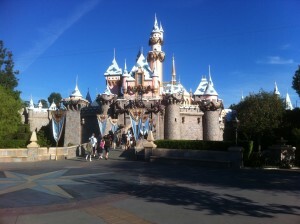 On the other hand, you can do the Disneyland Resort in 3-4 hard days, or 4-5 easy ones. This is half to a third as much time as you should devote to Walt Disney World. WHO SHOULD PICK DISNEYLAND INSTEAD OF WALT DISNEY WORLD? Remembering that my premise is that this may be your only Disney trip, I can think of only a couple of family types who should go to Disneyland rather than Disney World. Those leveraging it into a trip they are making to the West Coast anyway. California and its neighboring states are great states for vacationers and tourists. A two week family visit to the West Coast really needs to include 3-4 days at Disneyland. Visitors from overseas on a 2-3 week tour of the US, and who don’t have the time that Disney World requires. Those who are within driving distance of Disneyland, and can’t afford the travel time or money it would take them to get to Florida. By the way, Disney World fans who are frequent visitors should give Disneyland a shot. It’s a wonderful place to visit on its own merits, and can represent an easy replacement to one of your annual visits to Walt Disney World. Stay in Disney’s Grand Californian and you will particularly marvel at just how easy Disneyland is to experience! Plus, as John Hench noted…the sky is a different color! I am going to Orlando for the first time next month and Paris Disney the next :). I am from So Cal… And I guess maybe a little bias as it is he original and there is something special about the fact Walt actually built Disneyland and special things there like a fountain for his wife etc. I do love that it seems all the parks have differences which makes it a somewhat different experience going to each of them. It seems like DW is kind of like our Sea World, San Diego Zoo, Universal Studios, combined ? Not sure what to expect but sure we have have a blast… Plan on going before the crowds of spring break and the heat of e summer. I would also like to add that the addition of CarsLand in our California Adventure Park is really something to see! It’s amazing like being in The movie.. We actually went to radiator springs in Oklahoma when the movie came out! I have seen the wishes show on youtube submitted by others can’t wait to see it in person the consensus is still that California has the best show for this… It’s our favorite.. Even above fantastic now which still makes me cry. My son is. autistic…..my question is since we are going to these other parks do honey have “guest assistance” passes ? We have season passes at the park in CA.. We are able to get a piece of paper that is like a fast pass so my son doesn’t stand inline in the sun for hours and having seizures. We get these in hall at DL or DLCA they are for a few weeks or month depending on cast member. I just need one for the 4 days we will be there.